I don’t consider myself a biker chick. I don’t own a leather vest or leather chaps. I don’t own anything Harley-Davidson related. I have no tattoos. 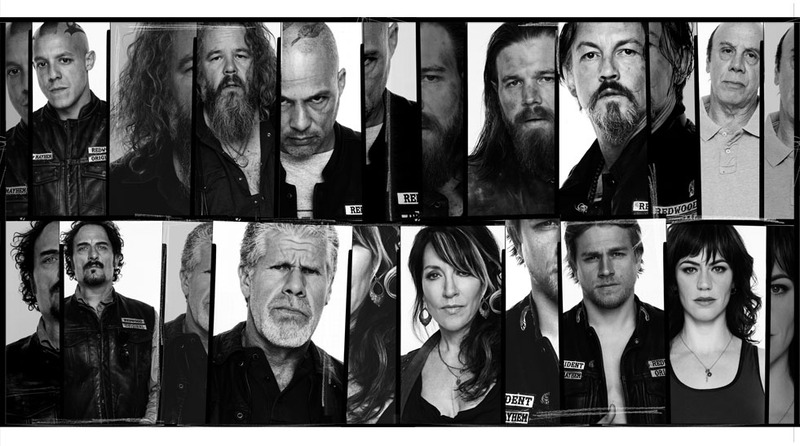 But I am a SAMCRO follower. I’ve been there since the beginning. Me … the sporty nerd was part of the masses. 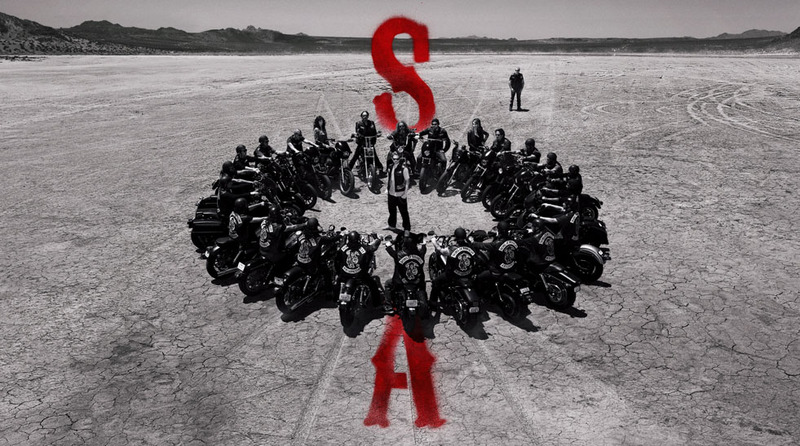 I was one of the 5.4 million viewers that tuned in this week to watch the season premiere of Sons Of Anarchy. Charlie Hunnam … dude. Charlie. I took no phone calls. I turned off the computer. Made sure the kids were asleep by eight-thirty and then I ignored everybody in the household. It was SAMCRO time. I wasn’t with my feet up, relaxing on the couch. I was on full edge of the couch alert mode, completely engaged in all the drama and action. Why is it that I found myself completely ignoring the what’s-for-dinner question? I mean other than Charlie Hunnam … dude … Charlie. Hmmmmmm. He plays Jax Teller. Hmmmm. Jax Teller. No it wasn’t only the hot dude. It was his opening monologue. Who does that? Who writes nitty-gritty awesome life advice like that? A genius. A genius with a beard. Kurt Sutter. If you haven’t watched the show … it’s O.K. I forgive you. They’ve got Hulu and Netflix now. You can catch up. But in short … it’s about an outlaw motorcycle club in the city of Charming, California and their struggle to protect their club’s existence and semi-peaceful way of life. It’s got drama, violence, dark humor, and motorcycle stuff. It’s also got my undivided attention every Tuesday night. Jax Teller is trying so hard to do the right thing, leave the motorcycle club, and make a new life with his family far away. But the drama, the past, the ties to his father who was an original member of the club, the revenge for his father’s death, the feud with his step-father who’s also a club member — a sneaky one, and his controlling mom whose all up in the club’s business, keeps pulling him back in. All this keeps me coming back every season. I like watching Jax Teller’s inner conflict surface. Not because I enjoy people’s troubles but because he’s genuinely a good guy with a pure heart in an outlaw world, living by a code and trying to do what’s right for everyone. He’s trying to stick to his father’s manifesto and bring the club back to a good place, but conflict arises and he tries his best to deal with it. He’s just like everyone else on earth … conflicted … except everyone else isn’t the president of an outlaw motorcycle club. I was glued to the television this week, and will probably do so the entire season. So if it’s Tuesday night you’ll know where I’ll be … sitting on the edge of my couch along with the other 5.4 million people who watch. Okay, I’ve been really on the fence about this show. I’ve heard good things, but I’m not a biker chick either – the previews have just thrown me off a bit. But, we obviously like the same shows, and I’m finally catching up on all of my old ones…so…you’ve sold me! This is the next one I’m watching! Duuuuuuuuuuude. This is such a great show. The previews are mostly symbolic family drama stuff, so don’t let it distract you. Like every other good show you need to start at the beginning to appreciate all the drama and character choices. They have awesome end of season cliff hangers. I think that seasons two and three are my favorite so far, but season five just started so you never know.